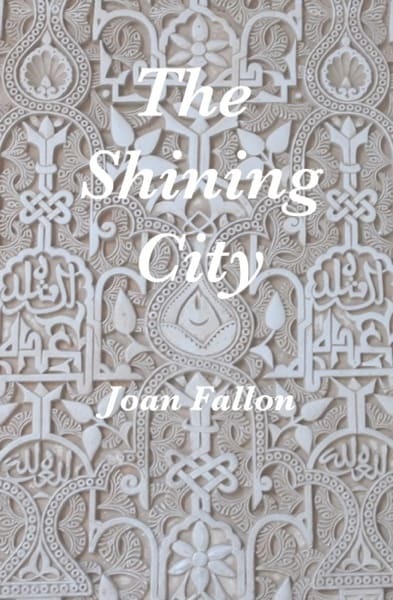 I’m Joan Fallon and you can find me on my web page. I’ve been fortunate enough to live in the Málaga area for a number of years now. I first moved here in 1988 but it was a short stay and I was back in the UK by 1991. Then in 1998 my husband and I moved here permanently and now live in a small fishing village called Benajarafe. For more years than I care to remember it has been my ambition to be a writer; I have always been fascinated with words and the world of the imagination – a fascination that has never left me. Until our move to Spain there was never the time nor the money to take the plunge; earning a living and bringing up a family meant that there was no opportunity for doing what I thought of as a personal indulgence. Now that I was retired and in Spain I decided to have a go. But it wasn’t that easy. I did not have the confidence. I was looking for some spark of inspiration to get me started. Then one day I read about a new one-year Creative Writing course the Open University were offering. Now, for reasons I won’t go into here, I had gained my degree though the Open University in the late seventies and have very fond memories of this institution. It seemed like a good omen and I wrote away for the prospectus and signed up. Words came easily to me and I found that, although inspiration is always good, writing fiction is as much a craft as any other writing task, be it writing reports or dissertations. You organise the words to achieve a specific effect. With my newly found confidence I was ready to tackle my first book. 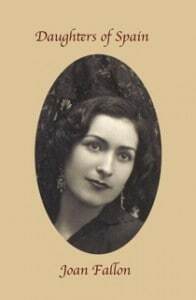 Maybe it was a holiday here in Spain, back in the sixties, that gave me the idea that Spanish women led very restricted lives: the preponderance of women in widows’ black dresses and black lysle stockings, the hostile stares at my bare legs and holiday shorts. So when I arrived in 1988 I remember being very surprised at the freedoms that women had achieved since the death of Franco in 1975: there were women in senior business positions, in politics, working as doctors and lawyers. I was fascinated and wanted to find out more. By the time I returned in 1998 women had gained even more advantages. Once again I thought about writing a book about these changes. But before I did that I wanted to find out what had happened to women during the Franco years and if my preconceived ideas had been correct. In the end I didn’t make a start on the book until 2006, eventually spurred on by my successful completion of the creative writing course and by the realisation that if I didn’t start soon, my potential interviewees would have all died. So I began to interview as many women as I could: of all ages and from all walks of life. (This is where my command of the Spanish language came in useful as I had to conduct the interviews in Spanish then translate them into English.) The end result was my first book ‘Daughters of Spain’, a snapshot of women’s lives from the Civil War to the present day. 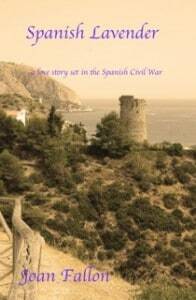 Writing the book gave me a great insight into the contemporary history of Spain and whetted my appetite for more. It also meant I had amassed a wealth of information and personal accounts that could be used in the novels that I planned to write. My first one was about the Spanish Civil War in Málaga, in February 1937. The father of one of my interviewees was caught up in the conflict and had told her about his experiences – she told me about many things that I had not come across before. I had not heard of the gunboats massacring innocent women and children as they tried to flee to the safety of Almería, for example. As I did further research into the period I began to understand why some of the women I interviewed barely mentioned the war and others were badly affected by it. Gradually a story took form and the novel ‘Spanish Lavender’ was born. 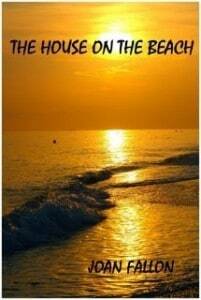 Another novel that came directly from those initial interviews was ‘The House on the Beach’, about two girls growing up in Franco’s Spain. In the book, one of the girls is from a wealthy family in Madrid and the other is the daughter of a local peasant. Again the first-hand accounts of taking part in student demonstrations in the sixties, of being thrown out of the family home for being pregnant, of the lingering fear of the fascist police, of the impotence of women in all things, having no control over their own money or even their children, all this information helped me to produce a well-researched novel. After the publication of ‘House on the Beach’, I decided to set my novels in contemporary Spain. One of the delights of living in a new country is exploring it. After sixteen years we have visited almost all parts of Spain and Portugal and one of the parts we return to again and again is Galicia. One year we landed up in Santiago de Compostela in a Jacobean year or Holy year and the city was packed with pilgrims. The Holy year is any year when St James’ Day falls on a Sunday. 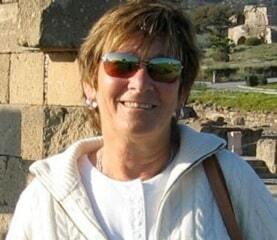 I found the experience of being amongst all those pilgrims – people from all walks of life and of many nationalities – very stimulating and decided to write a novel about a woman who has many problems in her life and walks the Camino. I thought it might be fun to try to set the book in a similar form to The Canterbury Tales, so that we also learn about the people she meets on her pilgrimage. 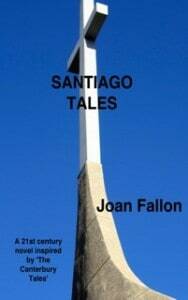 The end product was a novel entitled ‘Santiago Tales’. Living on the Costa del Sol it is impossible not to notice the enormous number of ex-pats that have made this area their home. 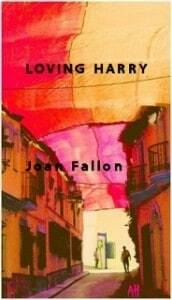 So when I began to write a novel about two women in love with the same man, ‘Loving Harry’, I set some of the action in a fictitious location that looks very much like a mixture of Fuengirola, Marbella and anywhere else along that part of the coast. When I started to write my first novel, I found that it was impossible to write without dipping into my personal experiences, taking character traits from people I knew, using locations with which I was familiar and even inter-personal scenarios that I had encountered. Someone once said that ‘a writer should write about what he knows.’ Whether you think this is true or not, I find that an accumulation of education and experience easily overflows into my writing; it is impossible to stop it. My love of social history, for example, means that many of my stories are set in the past but I find that the characters in those stories experience the same inter-relationship problems as their modern counterparts. History teaches you that there is nothing new; we have all been there before. For me, the joy of writing fiction lies in the ability to create a whole new world, peopled with characters of my own making. As a child I never played with dolls but I’m sure this is the grown-up version of it. After writing a couple of contemporary books, I have now returned to the past. I have become hooked on Spanish history and culture. My latest book jumps back in time to the 10th century and the Moorish occupation of Spain. I have chosen as the setting the ruined city of Madinat al Zahra, just outside Córdoba, a city that was built by the first Caliph of Andalucia, Abd al-Rahman III. Once again I try to portray a picture of what it was like to be an ordinary citizen living and working at that time. The hero, a young potter, falls in love with one of the Caliph’s concubines with disastrous consequences for himself and his family. I must admit that I enjoyed doing the research for this novel as much as I did writing it and personally learned a lot about the period and the Moors legacy to Spain.